This upload is a lesson plan trying to make the topic of past forms more fun. I have used a voki to work on the grammar. Hope you find it enjoyable as well. This printable, downloadable handout is best suited for high school students, elementary school students and adults at Pre-intermediate (A2), Intermediate (B1) and Upper-intermediate (B2) level. 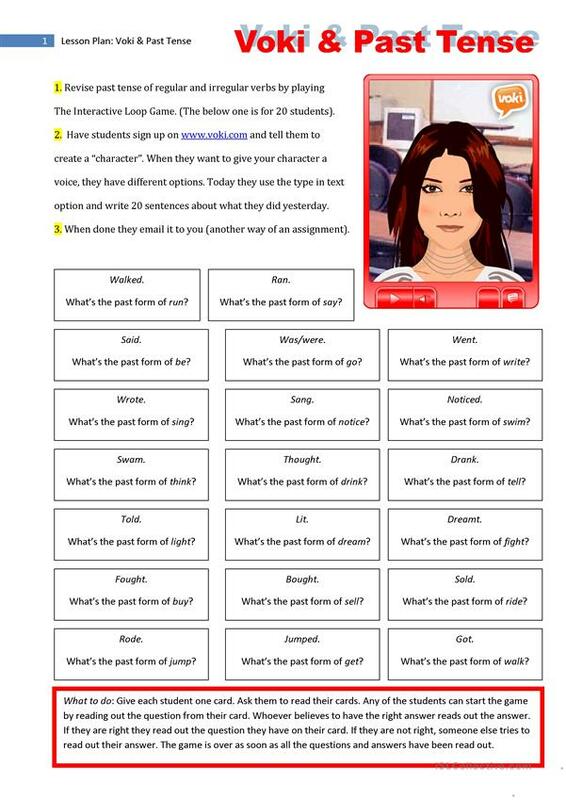 It is a useful material for practising Verb tenses in English, and was designed for enhancing your pupils' Listening, Spelling, Speaking, Reading and Writing skills.